If your necktie clip fails, please contact us about a replacement. We stand by our products and will be happy to help you. 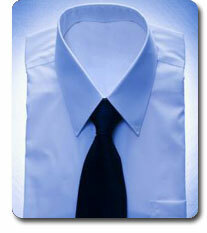 We understand that there is a limited variety of clip-on neckties in the market. So if you want your favorite four-in-hand necktie to be converted to a clip-on necktie, we can do it. Please note that not all four-in-hand neckties are suitable for the conversion, as the width of the band of the tie must be wide enough to cover the necktie clip. Please contact us for more information. We stock some manufacturing accessories that are necessary in the production of clip-on ties, such as die punches, rubber blocks, and tying jigs. As we are in the business of selling necktie clips and hangers, we provide these accessories only as service to our clients. Please contact us for pricing and information.